Will Billy Mckay go the same way as his predecessors, Delort and Riera? When the lineup was announced prior to the Leeds match on Saturday it was a sadly depressing moment. The mood had been positive and people had started to “Believe” again. But a look at the team sheet was enough to send many of us into despair. How can you keep faith in a manager who just does not seem to realize that some things just do not work? The dampener on the proceedings was the selection of a strike force of Marc-Antoine Fortune and James McClean. This is not to suggest that the two players do not have their merits. Despite scoring only one league goal in 24 appearances the controversial MAF continues to get his place in the team. His holding up of the ball, commitment and willingness to sacrifice for the team make him a good team player. He has played under three managers at Wigan, all of whom have appreciated his attributes. 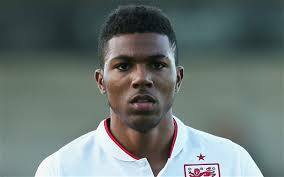 In fact since signing in summer 2013 he has made 35 league starts and 25 appearances off the bench, scoring 5 goals. McClean is on his way to be being voted “Player of the Season”. Fans have been impressed by his willingness to run himself into the ground for the cause, in a season when so many of his teammates have not shown that level of desire and commitment. Malky Mackay clearly believes he can become a bona fide central striker, through his speed, physicality, a powerful left foot and willingness to run at defences. As a left winger he has always been a committed team player, so often running back to help out his left full back. He is the club’s top scorer with six goals. However, McClean has always had his critics. They will say he lacks the “trickery skills” that the best wingers possess, that he runs around like a headless chicken, not lifting his head, not providing the level of assists to be expected of an experienced Premier League practitioner. As a central striker he is too often caught offside and does not make the kind kinds of runs off the ball that are needed. The Derry-raised forward deserves commendation for his commitment and enthusiasm to help the cause. He is the leading scorer with 6 goals this season, but as a central striker he has a lot to learn.On Saturday he was to be switched to the left flank during the course of the game. Neither Fortune nor McClean are what might be called “natural strikers”. Those are the kinds of players who are in the right place at the right time to get the tap-ins to those balls fizzing across the box. Moreover their combined goalscoring records do not suggest they are going to do so. The likelihood is that neither will be at the club at the end of the season. Fortune is now 33 and it would be a surprise if he were given a further contract. According to reports, McClean is one of the highest wage earners at the club (some suggest he is on £30k per week) and is likely to be released whether or not Latics stay in the Championship. However, Latics do have other strikers. The big centre forward Leon Clarke – who has played for 14 clubs – is very much a “journeyman”. Nevertheless his physical presence has added to the forward line and his commitment has been excellent. Add to that a debut goal against Bournemouth. Billy Mckay and Martyn Waghorn continue to be marginalized by Mackay. Waghorn was Uwe Rosler’s first permanent signing and made a positive impact in the latter half of last season. Often played wide he nevertheless scored 5 goals in 15 appearances. Moreover he was a consummate team player, strong defensively, so often dropping back to defence to help his full back. During that period Waghorn was never a spectacular player, but one who fitted into the framework of the team, a very useful asset. Many of us expected Waghorn to continue to be one of Rosler’s mainstay players, but injury combined with the signing of new strikers pushed him out of contention. He has made just 6 starts this season, with 12 appearances as a substitute, scoring 2 goals. Like Oriol Riera and Andy Delort who preceded him, Mckay is a proven goalscorer. 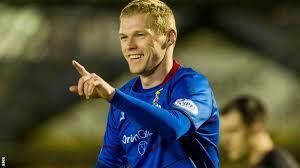 He had scored 10 goals in 23 appearances for Inverness Caledonian Thistle this season, prior to joining Latics. In his two previous seasons in the SPL he scored 18 and 22 goals respectively. Sadly it looks like Mckay is going the same way as his predecessors. The woeful treatment of Delort and Riera has continued with Mckay, albeit under a different manager. Is there a disconnect between recruiting and coaching at the club? Under Rosler good performance in training was paramount to his process of team selection. It continues with Mackay. Is Mckay not fit enough for the demands of the Championship or does he just not impress the coaching staff on the training field? Mckay will have arrived with confidence, after banging in the goals in Scotland. But being given no starts and six appearances off the bench, his confidence will surely have already dissipated. Granted, he has failed to impress so far, but players need a run of games in the starting lineup to show their worth. Surely he must soon be given that opportunity? Since Malky Mackay’s arrival Latics have not won a single home game, drawing two and losing eight. They have only scored 5 goals in those 10 matches at the DW Stadium. Given his woeful record, it is a wonder that Mackay continues to be employed by the club. But it looks like he will continue at least until the end of the season. In the meantime his coaching staff need to take a long hard look at themselves to explain how so many players with genuine talent have fallen by the wayside this season. It is their role to help players adjust, to make them into effective performers at the appropriate level. Let’s hope that Mckay does not get consigned to the same level of mismanagement as Delort and Riera. The first posting on our Amigos site was made by Ned on August 11, 2011. It received less than 10 views that first day. But by the end of the month the site had received over 700 views. Our readership has continued to steadily grow. In this current month of April the site has already received more than ten times the number of views than in that inaugural month, from viewers in more than fifty countries. The growth has been particularly significant in recent months. Given that we now have a wider readership we plan to occasionally republish articles from our archives, that many may not have seen. We ask our long-established readers will bear with us on this. We will continue to put out our stream of current articles. Our site stats have shown that our readership has been particularly interested in perspectives of Latics players from fans of their previous clubs. Thanks to contributions made by bloggers on the fan sites of those clubs for these articles from our archives. Click here for our previous fan views on Roger Espinoza and James McClean. Written by: Mark_w.James fan’s forum on the Leicester City fansite http://www.foxestalk.co.uk/. For the benefit of lurking Wigan fans (I ventured over to their forum and some have decided he’s rubbish based on posts in here and his goal scoring record so) I’m going to repeat what I’ve been saying for the last few years. Feel free to skip it. 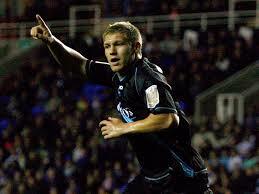 Martyn Waghorn did a very good job during his loan spell at the club, in the Championship. Injury and misuse (being played on the wing when he isn’t a winger) has prevented him from performing to the level we saw during his loan spell. However his performances in the run of around ten games he had for us last year and the reception from the Millwall fans on their forum after his loan spell would suggest that he is very capable of recapturing that form. It’s not going to be for us because this season Jamie Vardy has proven that he offers as much as in terms of work rate with a superior goal scoring record and with Nugent and Wood as well, it’s pretty clear that Waghorn isn’t going to get a look in and it would be a very silly decision on his part to sign a new contract with the club. His commitment and passion for football rather than his ability are the reason he’s revered by a surprisingly large number of Leicester fans, myself included. But that doesn’t mean he isn’t capable of becoming a very good footballer. If he is given a prolonged run as a striker by a team in the Championship, for the first time since his loan spell, then there’s every chance that he can perform to level he did during his loan spell and at the age of 24 there’s still plenty of time for him to develop and improve. Unfairly written off by some of our fans, I imagine because of impatience, an inability to recognize that he simply hasn’t started enough games to make the same impact he did while on loan (fewer starts since signing permanently than he made during his loan spell and those have been in short bursts rather than one prolonged run) and increased expectation because we pretty clearly paid way too much for him. Will be an incredible free signing for anyone who takes him on in the summer and gives him game time, if he gets that I’m sure we will see the Waggy of old, I think we’ll be at a level where we won’t need to kick ourselves about it, but if he does succeed elsewhere then I’m sure that many people will be saddened that circumstances have conspired against him time and time again since he signed permanently. I really hope he gets his career back on track and is given the opportunity to show to those who have written him off that he is capable of once again reaching the level he was at three years ago and there’s no reason he can’t surpass it in the future. Good luck to him, clearly cares about playing football and gave me a lot of great memories during what was probably my favourite season supporting Leicester City until this year (I’m young). If Pearson hadn’t left and we had still been able to sign him then I’m sure things would have been very different, I’m delighted that we’ve got Pearson back and are on the up again. Hope that the same can happen for Waggy on loan at Wigan and in the future, hopefully at a club that isn’t Millwall. Not the greatest player to play for Leicester City during my life time but easily one of the most likeable. I think it is reasonable to say that Wigan were not one of the more glamorous Premiership clubs during their spell in the top league so they would generally slip under the radar of most Celtic fans. However, this changed in recent years as we have seen a number of ex Celts and SPL players move to the club under the tenure of Roberto Martinez. My former boss is a Wigan season ticket holder so we have had many amusing conversations over the last few seasons when discussing the contribution of Gary Caldwell and more serious chats about the continued development of Maloney, McArthur and McCarthy as they become integral to the Wigan team in the last season, culminating in your magnificent FA Cup victory. Wigan now also has lifelong Celtic supporter Owen Coyle in charge and have just acquired the services of Celtic’s out of contract defender Thomas Rogne. As a season ticket holder for most of the last 9 seasons and as a weekly blogger for the LostBhoys on www.hailhailmedia.com I can provide an insight into Rogne’s time at Celtic, what sort of player he is and what you can expect from him in the seasons ahead. Rogne turned 23 last week but still features regularly for the Norway under-21 team despite being capped at full International level. 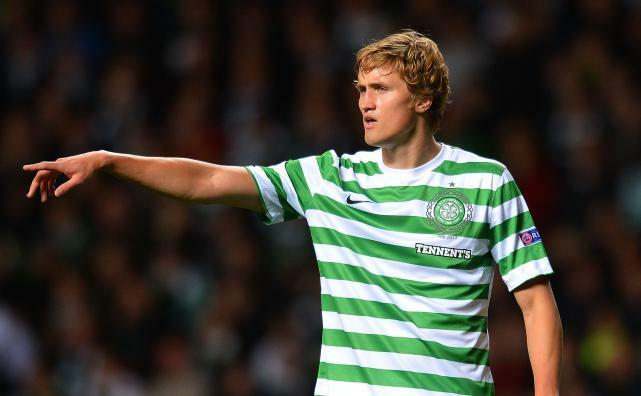 He joined Celtic as a 19 year old on the 20th January 2010 and was described by former Celtic favourite Vidar Riseth as the hottest young talent in Norway. Rogne was signed by Tony Mowbray whose single season in charge at Parkhead can most politely be described as a disaster, culminating in a 4-0 defeat to St Mirren that signalled the end of his reign. Rogne only managed 4 appearances during the second half of season 2009/10 but would have been encouraged by the appointment of Neil Lennon who has always been happy to give young players opportunities within the team. Rogne didn’t start a game in the following season until 30th October 2010 as an injury interrupted pre-season prevented him from establishing himself in the manager’s plans. However, he then featured 15 times in the following three months, including an outstanding performance at Ibrox in a 2-0 win over our former rivals. Further injuries took him out of the team and he only featured intermittently during the rest of the season. This was to become the story of his time at Celtic as he could rarely muster a run of games in the team without picking up knocks that would require spells on the sidelines. As an 18 year old Rogne damaged his cruciate ligaments and missed the entire 2008/09 season, which may explain his continual injury problems. The following season 2011/12 saw a depressingly similar pattern as injury disrupted his pre-season and he didn’t make his first start until 26th October 2011. He played 3 times before injury sidelined him again but once back in the team in December Rogne managed to establish himself and struck up a good partnership with Scottish Player of the season Charlie Mulgrew. He featured in 17 league games during the remainder of the season and was considered as a first choice pick for the first time in his Celtic career, keeping out new signing Kelvin Wilson who had experienced a difficult start to his Celtic career. This should have signalled better times for Rogne at Celtic but the signing of Efe Ambrose and the re-birth of Kelvin Wilson produced a solid partnership that was not going to be split up. This partnership, added to more niggling injuries for the player meant that he had drifted out of the first team picture. He only made 8 league starts last season, a situation that was not helped with his ongoing contract dispute with the club. Rogne was looking for a deal that would put him in with the high earners at the club but he had done nothing during his 4 seasons to justify such a position. The club expressed their desire to keep him but no compromise could be reached so the player allowed his contract to expire and today he becomes a free agent meaning that Wigan will not have to pay any compensation to Celtic. There is no doubting the ability of Rogne as a footballer. He is a tall player who enjoys doing the basics of good defending. He is good in the air and reads the game well which enables him to win a fair amount of challenges staying on his feet without over committing himself. He has reasonable pace and his positional sense is good although he can suffer from lapses in concentration. He is not a ball playing defender and is happy winning possession and giving the ball to his more talented colleagues. What he desperately needs is a run of 20-30 games in a side without injury so that he can establish himself as a first choice. He is easily good enough to play in the Championship but needs to contribute much more in terms of appearances. As a free transfer on relatively modest wages he fits the bill for Wigan’s transfer policy and would be deemed as a low risk signing. Wigan have the best chance of promotion from all the three clubs who were relegated as they should manage to retain a decent nucleus of last seasons squad, unlike QPR who have huge financial implications to deal with. Providing he can stay fit then Rogne will be a good addition to the squad and should be a success at Wigan. He is familiar with British football and knows Caldwell and Maloney well from his time at Celtic, so his transition to Wigan should be relatively straight forward.